Ah…love. We fall in love and have kids, and the next thing you know we’re arguing over everything. Why? Kids can sense your disharmony and learn to manipulate the situation to their own advantage. This leads some kids to grow up to be manipulative adults, which none of us wants. To get everyone on the same page, and avoid confusion and frustration, here are 5 proven parenting tips to help couples coping with different parenting styles. Most people’s perspective on parenting comes from their own childhood experiences. You can call it the ghosts of childhood past. Then they end up frustrated or upset when the childhood styles they revert back to don’t align. Have that conversation! Chances are you won’t agree on everything, and that’s okay. But at least you’ll have a better understanding of where the other person is coming from and you’ll know where you may need to compromise. You may not be friends with your ex, after all you divorced for a reason, but that doesn’t mean you can’t treat each other civilly. Respect is essential for the health of any family. You’ll need to let your hurt feelings and anger take a backseat to the needs of your kids. You might find that since your separation, some methods of communication don’t work for you anymore. It happens, don’t beat yourself up about it. 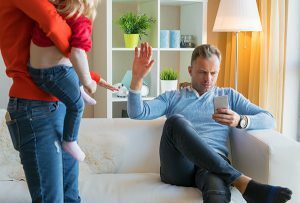 If phone calls and texts are causing stress and conflict, you might want to use a specialized communication platform like OurFamilyWizard, which was designed specifically to make communication with a co-parent clear and respectful. Putting your children’s needs first may seem obvious, but many couples say it can be hard to remember in the moment. Particularly of the split was messy. But putting your children’s security and sense of stability first is key to a “successful” separation. So do whatever it takes, even if it means working with a family therapist to help you and your co-parent bring the conversation back to what is best for the children when your relationship problems start to heat up the discussion. The move from one household to the next, no matter the frequency, can be very difficult for children. Help make the transition easier on your kids. Prepare them ahead of time. Remind them a day ahead of when they’ll be leaving. Help them pack so they don’t forget anything they’ll miss. Always drop off, never pick up your child. It’s a good idea to avoid “taking” your child from your co-parent if it can be avoided so you don’t risk interrupting a special moment (and having the weirdness blamed on you). Drop off your child and have your ex do the same. One of the things that makes co-parenting so hard is there is a lot of FOMO (fear of missing out) on both sides of the fence. If your kids are doing something special or fun, like riding on their first roller coaster, take a photo or video to share with your co-parent so they can experience the moment too. Let your kids know you’re doing this so they feel like their dad/mom was a part of it. Ask your ex to do the same for you. For big events, like a graduation or playoff game, try your hardest to have both parents there. It means a lot to your kids.